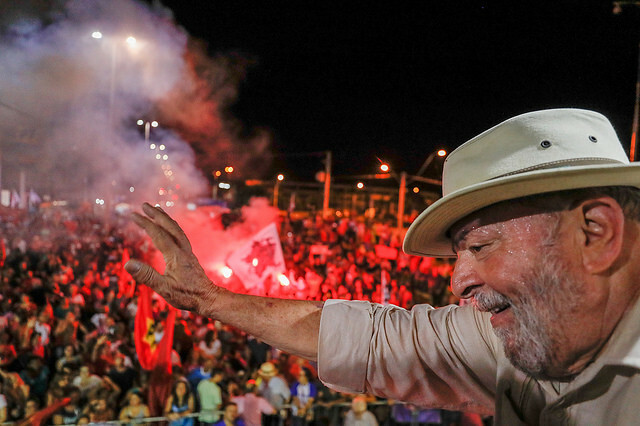 Contagem, in the Great Belo Horizonte Area, southeastern Brazil, will be the first city where fellow party members and supporters will host an event to officially launch ex-president Luiz Inácio Lula da Silva’s presidential campaign for the upcoming elections in October. Lula has said he will run, despite being held at the Federal Police headquarters in Curitiba. The former president has been in prison for two months. This is an unusual situation, as candidates usually take part in the events dedicated to launching their own campaigns. However, the Wokers’ Party (Partido dos Trabalhadores – PT) reiterated that the rally intends to denounce the trial and prison of the country’s former president, as they believe it is part of a coup that started when Dilma Rousseff was ousted in 2016. While rumors have been circulating about senator and PT chair Gleisi Hoffmann being the actual PT candidate instead of the ex-president, Hoffmann herself has been constantly repeating Lula is the party’s candidate in Brazil’s upcoming elections. “Lula is topping polls, he has political rights, and he will be our candidate,” she said during a Senate session in May. Brazil’s ousted president Dilma Rousseff will attend Lula’s campaign launch event in Contagem, as well as members of the PT, governors, senators, members of parliament, and leaders of people’s movements.